Doraemon in a cup !! This is a carrot donut. Not as tasty as I thought, but not bad either. The other choice was a spinach donut. I miss the bread stores of Japan a lot! Pure evil! Donuts are by definition UN-healthy. oooh the lawson bread looks good 🙂 Shame bout the carrot one not tasting as good. 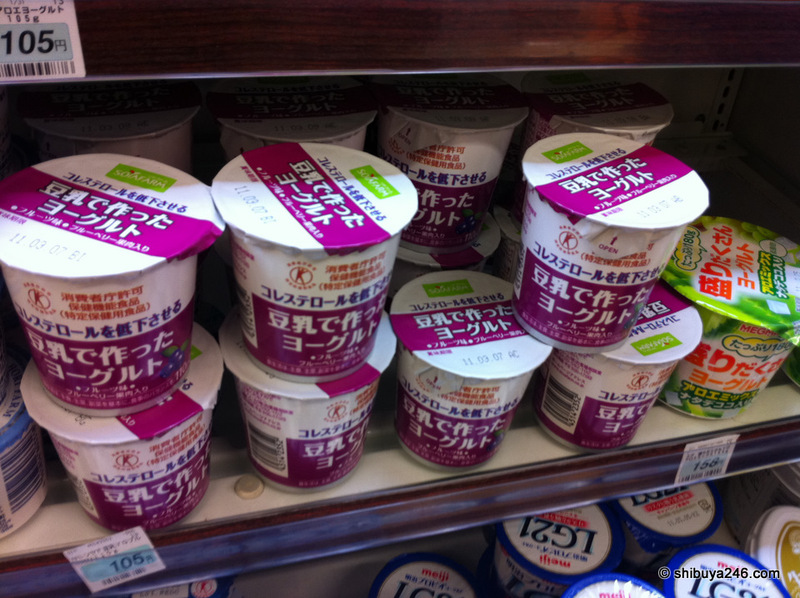 Yoghurt made from tofu is either really genius…. or really really .. really not tasty at all. Do you happen to have any tips for hanami viewing? I am planning to be in TOkyo April 2nd for 1.5 weeks (been there before so I can deal with a shorter trip) but i am not sure if the sakura blossoms will still be viewable in Tokyo ? Usually it’s end of May right?